The 1980s were another time of great changes in the library’s history. Mrs. Kathy Buck and Mrs. Roberta Tuttle, librarians from 1978-1992, guided patrons during this era. 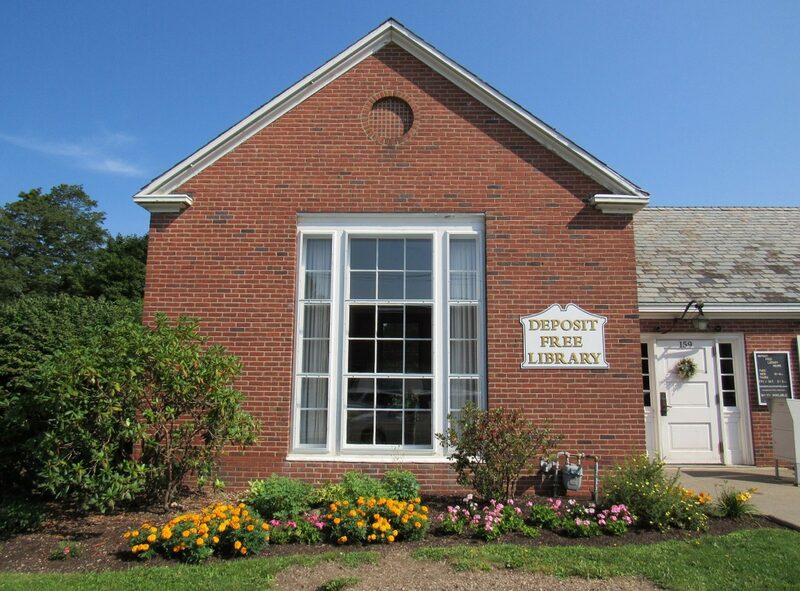 The Deposit Free Library joined the Four County Library System. This consortium of 42 libraries in Broome, Delaware, Otsego, and Chenango Counties works together to share services and materials. Deposit’s patrons gained access to a much larger collection of free materials through interlibrary loans. The past four decades have also seen the Deposit Free Library enter the age of technology. It began in the 1970s, when a microfilm reader/printer was purchased and copies of the Deposit Courier were put on microfilm for public use. Many people continue to use these microfilm records for local historical research. Deposit celebrated the new millennium by becoming an online library. All books in the collection were bar coded and entered into the Four County computer system. The faithful card catalog became obsolete. Librarian Anne Parsons oversaw the change from manual to electronic tracking of materials. Deposit acquired its first public computer through a grant from the Bill and Melinda Gates Foundation. The computer workstation is currently one of the most popular features of the library, housing five public computers and a public printer. Free wireless connection is also available. The library provides the public with technology education through classes on beginning computer skills, genealogy research, using e-bay, and other topics. The advent of electronic books brought another change. In 2010 Deposit joined with other libraries nationwide to offer free e-books to their patrons. The library currently subscribes to the Overdrive service. Using this database, library cardholders can order books and download them to personal computers or electronic devices. They can also use their cards to order regular books and materials from home computers; then come to the library to pick up their choices. The library also offers access to many free databases for online research through its subscription to a research center. Ever since the advent of technology, people have been sounding the death knell for libraries. For over twenty years there have been predictions that libraries will soon become obsolete. In Deposit this has not proven true. Although electronic research and services are very popular, many patrons still enjoy coming to the library and searching the stacks the old-fashioned way. The new millennium changed library management in another important area. Grant writing became a major part of Deposit Free Library’s fundraising efforts. During the years 2000-2012, dozens of grants were written to pay for capital improvements and improved services. Interior improvements include new carpeting, window treatments, ceiling tiles, new leather reading chairs, and an updated bathroom and kitchen/office. Throughout this renovation process, the old-fashioned ambience of the library building has been maintained. Local craftsmen have been employed to design and build pieces that blend in with the original 1930s furniture. Craftsman Kirk Decker created the computer workstation, and the team of Jason Fortunato, Ryan Walker, and Ken Wist created the circulation desk unit. On the building’s exterior, the slate roof and flat roof, brickwork, and windows have all been repaired or replaced. A storage shed was added to the property for book donations. All of these capital improvements have been financed through individual donations and grant funding. Local organizations and private foundations have been especially generous, including from the Busfield Foundation, Deposit’s Closet, the George and Margaret Mee Foundation, the Axtell Foundation, the O’Connor Foundation, and the Community Foundation of South Central New York.